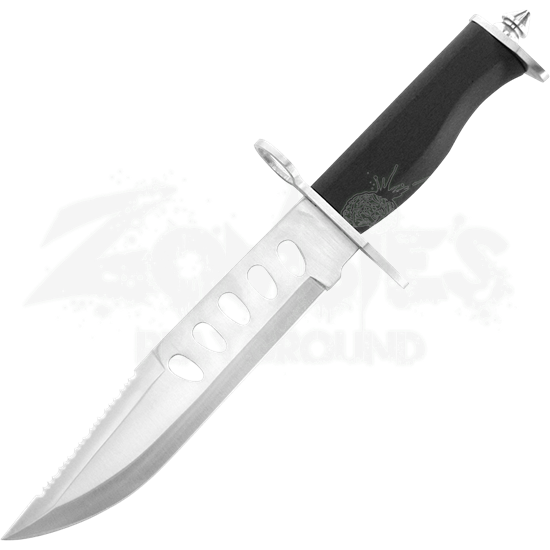 Whether for outdoor utility or the occasional combat situation, the Serrated Fixed Blade Bowie Knife is a useful tool for the modern survivalist. Its stylized blade offers versatility and strength no matter where adventure leads you. The serrations that trail the upper half of the spine offer versatility in cut. Five holes line the center, contributing to a lighter weight and increased balance. The rubberized nylon grip and wide guard with thumb ring support a strong, steady hold. A conical pommel appears at the end of the handle. A black nylon sheath with snap fastener and belt loop are included for easy carry and storage. 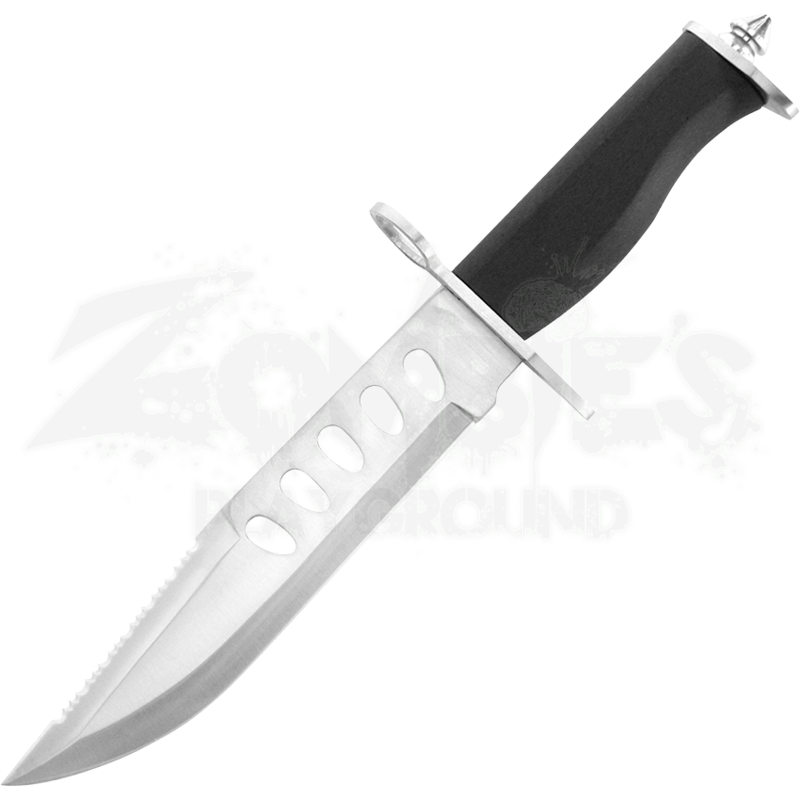 The Serrated Fixed Blade Bowie Knife is a helpful addition to your survival gear.